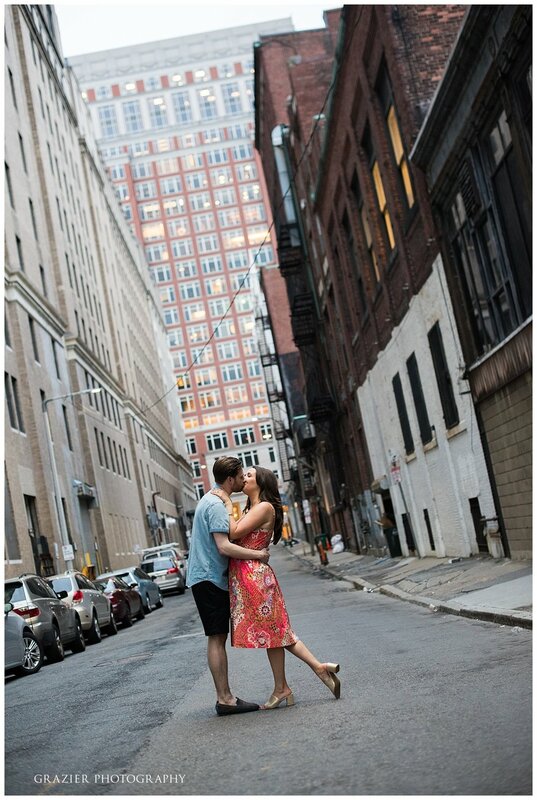 Last night I met up with Jaye and Sam in Boston for their engagement session. It was great to spend some time with these two and get to know them better. Jaye and Sam have been guests at 2 other weddings we have photographed so we enjoyed reminiscing about their friends' weddings while discussing their plans as well. It's always a lot of fun to be the photographers for a circle of close friends - when we show up at a wedding it's pretty awesome to know so many of the wedding party and guests. 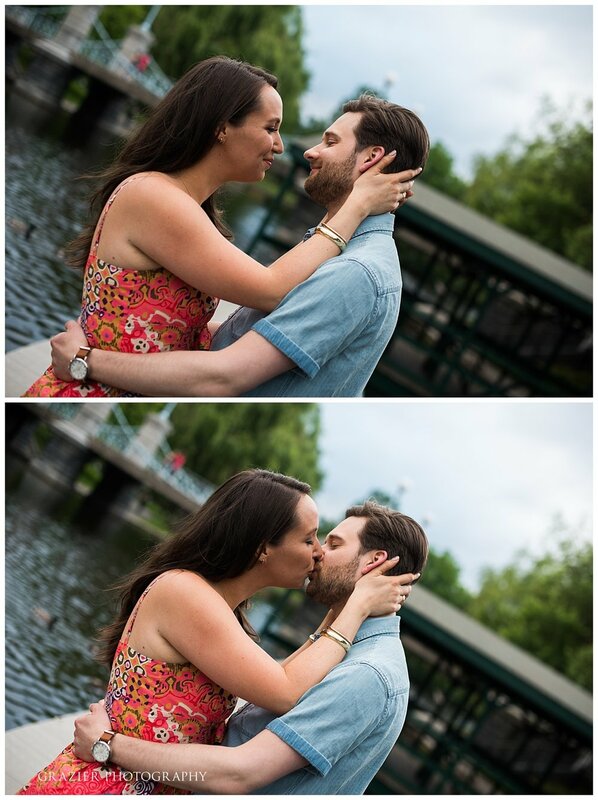 For Jaye and Sam's session we hit the Back Bay area and the Public Garden. Rain showers passed by earlier in the afternoon leaving a soft blanket of clouds giving us gorgeous light for their session. 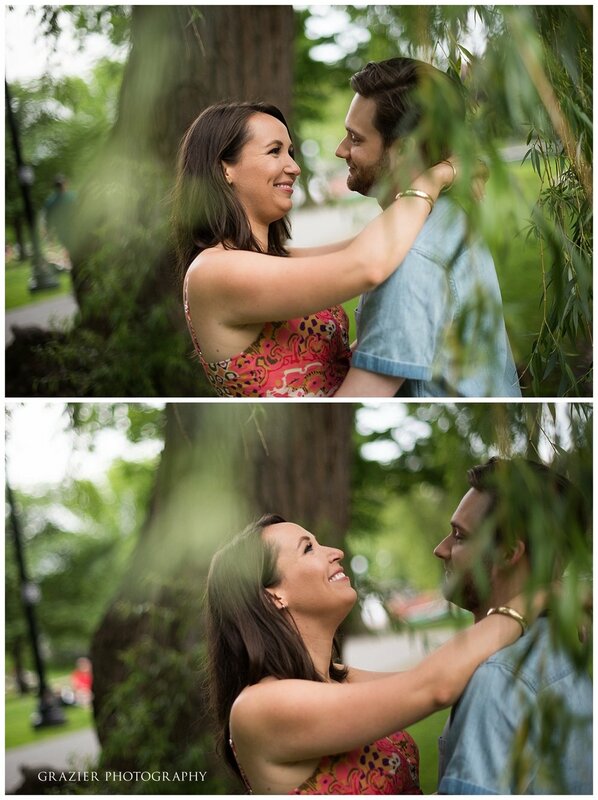 We're excited to share these and can not wait for their wedding this coming November at Alden Castle!